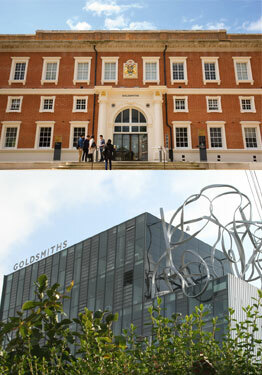 Goldsmiths is a world-renowned college forming part of the University of London. It traces its history back to 1891, and continues to provide excellent teaching in the fields of arts, designs, humanities and social sciences. The University is still based on its original site in London, and has buildings dating back from its conception through to the modern day. This mix of architectures and building materials leads to challenges in the fire detection systems installed. The University's buildings contain a number of lifts to help with the movement of people and goods. Each lift shaft is protected from the risk of fire by a point smoke detector. Testing of these detectors involves risk assessments and sign-off to work, alternative access arrangements for the duration of the tests, a lift engineer to take the lift out of service, and a fire engineer to perform the actual functional smoke test. This is time consuming and costly, and must be repeated for each lift on the site. It is however a legal requirement to test every detector at least once a year. Failure to do so can result in fines and imprisonment for those responsible for the fire system, and injury or worse to the occupants of the building in the event of a real fire. Triple Star Fire and Security provide maintenance of the fire system, and work closely with Goldsmiths to ensure the systems will function as expected if ever required. 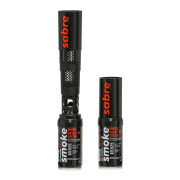 Triple Star Fire introduced an innovative approach to functional testing of smoke detectors. 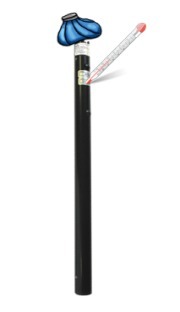 The Scorpion®system consists of a micro smoke generator mounted alongside the point detector in the lift shaft and connected to a control panel mounted in easy reach. Testing a detector in the lift shaft now takes a matter of minutes without any of the healthand safety issues or lift engineer costs that were required previously. The initial investment by the University is repaid in a very short time and reduces the on-going costs for the life of the detector. Daren Pool, Managing Director at Triple Star Fire commented "We found Scorpion easy to install. It saves the client time and money, improves safety and ensures compliance with regulations." Mr Tony Stacey (Maintenance & Engineering Manager) from Goldsmiths said "Scorpion is an investment that will shortly pay for itself while ensuring that building assets are no longer taken out of service to carry out routine maintenance". 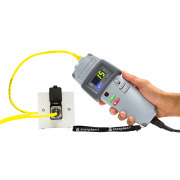 The industry's favourite brand of detector test equipment. 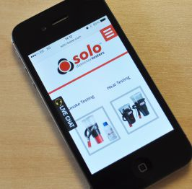 The Solo range includes over 20 products made up of individual tools and comprehensive test kits. 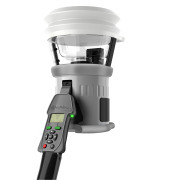 The range is used world-wide and enables fast, reliable functional testing of smoke, heat and CO detectors. 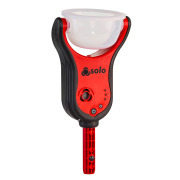 Detectortesters, (No Climb Products Ltd.), are pleased to announce the launch of an exciting addition to the Solo range - the innovative new smoke detector tester - Solo 365. 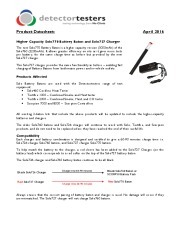 In this latest instalment of our top tips feature, Paul, from our support team, offers useful tips to follow when charging Solo battery batons. Check out our new Scorpion animation! Showing you how and where Scorpion could work for you. 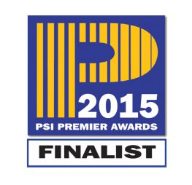 Scorpion, our functional test solution for hard-to-access detectors, has been confirmed as a finalist in this year's PSI Premier Awards. 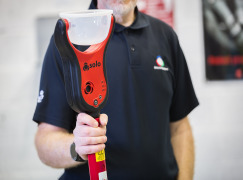 As market leaders with 30+ years’ experience, we understand the need for reliable test solutions that keep track with technological developments – without compromising on the standards set by existing solutions.Solo 365 is true to this belief – it’s lighter to use, quicker to test, suitable for more applications and almost impossible to over-apply – eliminating the risk of detector contamination. This new method of smoke generation takes Solo – the industry’s most trusted brand – to the next level. Solo 365 offers everything the industry expects from the Solo brand, pairing it with the very latest technology and wrapping it in a new modern slim-line design and incorporates non-hazardous, non-pressurised cartridges.Engineered to be compatible with the increasing number of sophisticated detectors now available, Solo 365 also overcomes the regulatory issues associated with pressurised aerosol canisters.